Our classic cheeses, Gouda, Maasdammer and Edam, are hugely popular all over the world. But there’s a lot more to cheese. We also use our experience to create our cheese specialties. Different recipes produce very different cheeses. For example, cheeses that may look like the semi-hard Gouda but are nevertheless different: flatter and softer, or slightly harder. All these differences are due to different preparation methods. Examples include our red-rind cheese (Kernhem) or the special Kanter cheeses, which have been made to a special recipe for centuries and therefore carry an EU Protected Designation of Origin. Lovers of cheeses with a much stronger flavour will find what they are looking for in our classic mature cheeses, among them our world champion ‘Rembrandt’ cheese. And although the cow is at the centre of what we do, we also make goat’s cheese. 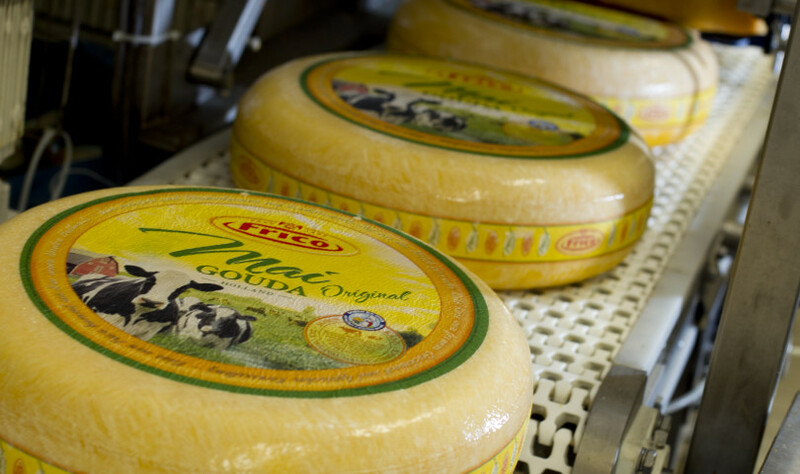 Frico is the brand under which you’ll find most of our cheese specialties.